Can You See Your Street In These Historic Aerial Photos Of London? 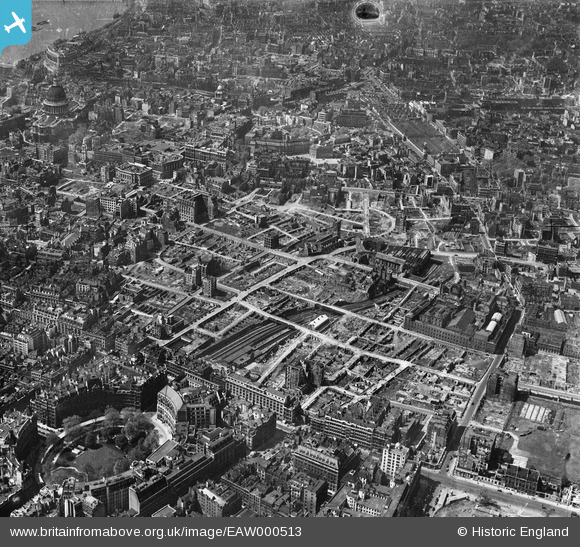 M@ Can You See Your Street In These Historic Aerial Photos Of London? 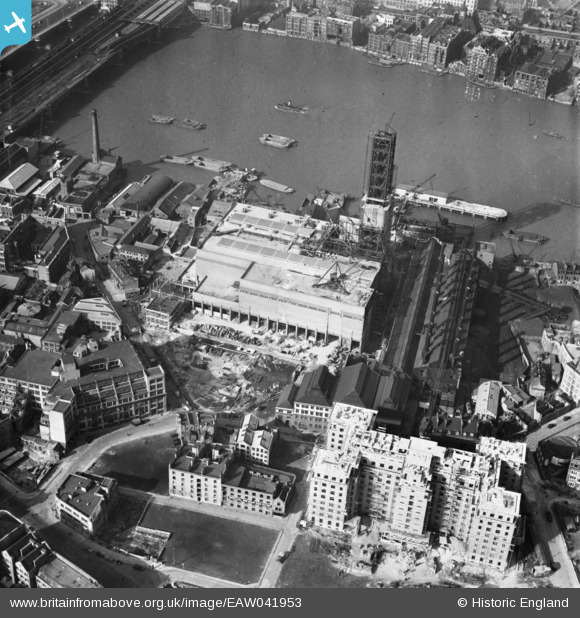 Bankside Power Station (Tate Modern) under construction in 1952. You might want to set aside a weekend. 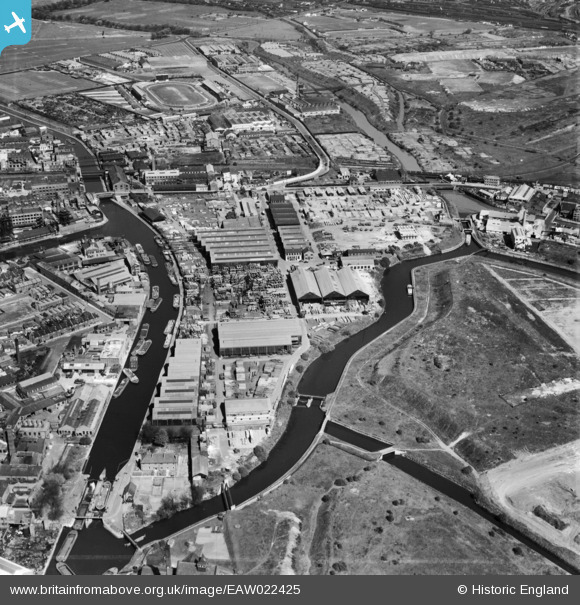 96,000 historic images of Britain from the air are now freely available to view on the Britain From Above website. The site draws on the Aerofilms collection, offering elevated photos of the country between 1919 and 2006. 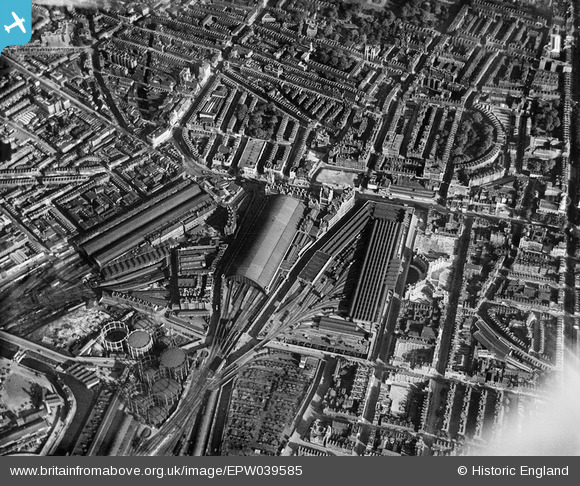 King's Cross and St Pancras in 1932. The third 'station' (right) was for freight, and is now covered by the British Library. And what an addictive trove it is. London is particularly well covered. Chances are that the street where you live or work will be covered on at least one image. Everything's mapped, too. This an enthralling tool for anyone with an interest in the capital's (and Britain's) history — or simply as a way to discover how your neighbourhood once looked. The future Queen Elizabeth Olympic Park, pictured in 1949 (when she was still Princess Elizabeth). The Olympic Stadium now stands in the bottom-right of the image. This project was made possible due to a grant from the Heritage Lottery Fund and support from The Foyle Foundation and other donors. The bomb-damaged area around Moorgate in 1946. Much of this cleared land would later become the Barbican. Have a play with the site yourself, and let us know if you find anything special. Thanks to @MrTimDunn for the tip-off.